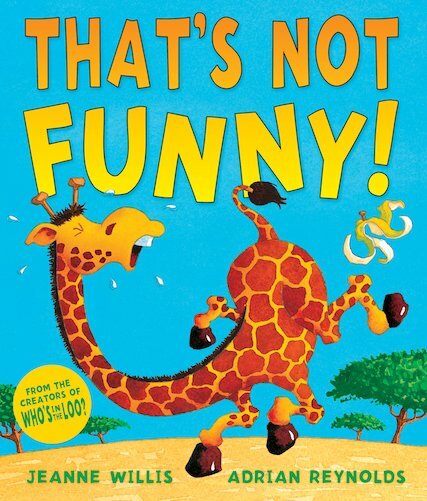 One day, just for a joke, Hyena throws a banana skin into Giraffe’s path. 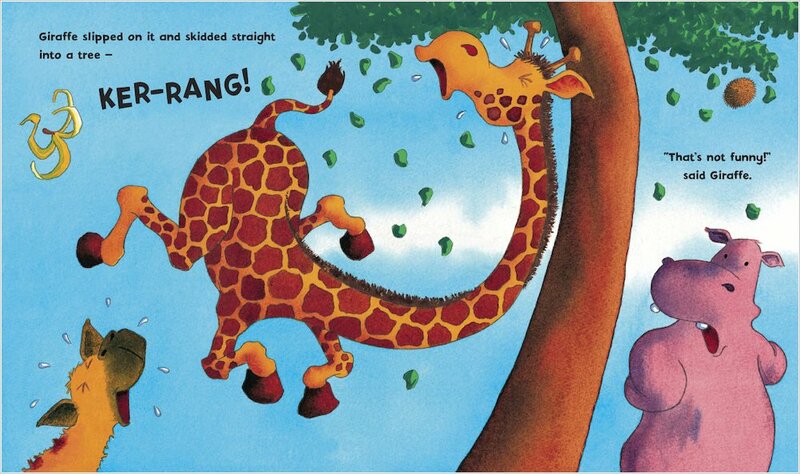 When Giraffe slips and collides with a tree, he sets off a chain of disasters involving all the jungle animals. 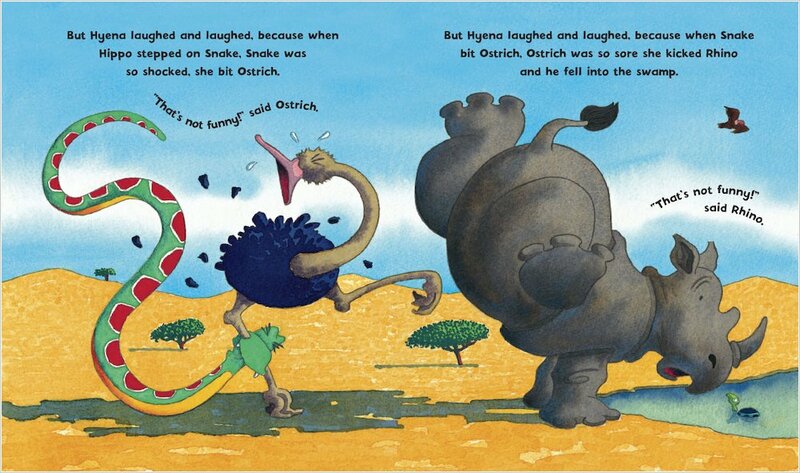 Hyena laughs and laughs at their misfortune. 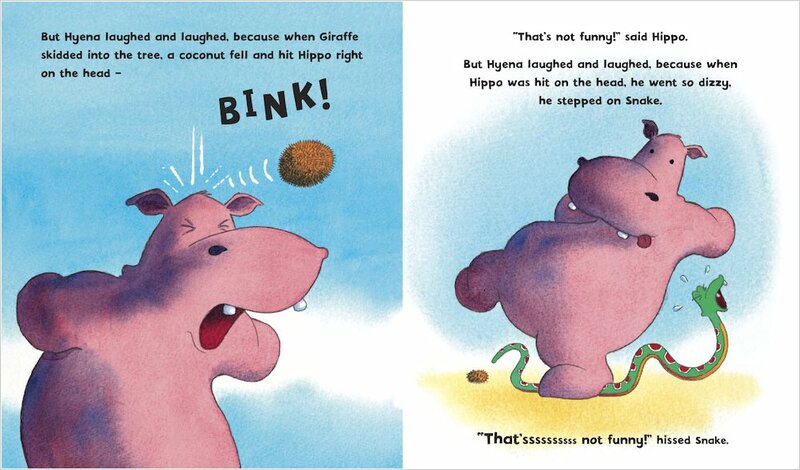 But the other animals have the last laugh when Hyena gets a fitting comeuppance – and trips up on his own joke! A rumbustious jungle romp from the ever-brilliant Jeanne Willis, author of Who’s in the Loo? and The Bog Baby. This uproarious book combines heaps of side-splitting chuckles with a message about treating others as we wish to be treated ourselves.